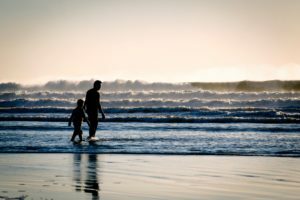 A father’s love | Image courtesy Unsplash user Tim Mossholder. Soap on a rope. That’s what I got my dad for Christmas every year until I was well into my teens. I’ve always loved picking thoughtful and unique gifts, but when it came to my dad, I was stumped. The man, a minimalist at heart, wanted nothing. Every year, I’d listen intently to everything he said, looking for hints as to what he might like, but I never got so much as a clue. Come December, I would ask if there was anything he wanted or needed, and he never—not once—had an answer. So, I’d get him the same thing as the year before because at least I knew he would use it. Eventually, I got better at buying for my dad. When I was seventeen, I bought him a nice knit sweater in his favorite shade, and the year after that, I got him a new tackle box for fishing. But I still felt my gifts were uninspired, impersonal, and not quite thoughtful enough for the man who had spent a good chunk of his life watching my dance recitals, making me pancakes, and tucking me in at night. Determined to find him the perfect gift for Christmas last year, I asked my friends for their best gift ideas for dads. And boy oh boy, did I hit the jackpot! So, if you are trying to find a gift for the dad who wants nothing, whether it’s for his birthday or Christmas, I’ve got ten great ideas he is sure to enjoy. My dad loves the great outdoors. When I was a kid, he was always traipsing through the woods near our house, canoeing on the lake, or sitting in the grass with a pencil and sketchbook. Now that he’s retired, he spends almost every waking minute al fresco. So, I asked my friends with outdoorsy dads like mine for some gift ideas he could enjoy outside. A Weatherproof Hammock: My good friend Laura has fond memories of napping with her dad in their neighbor’s hammock on hot summer days when she was little. 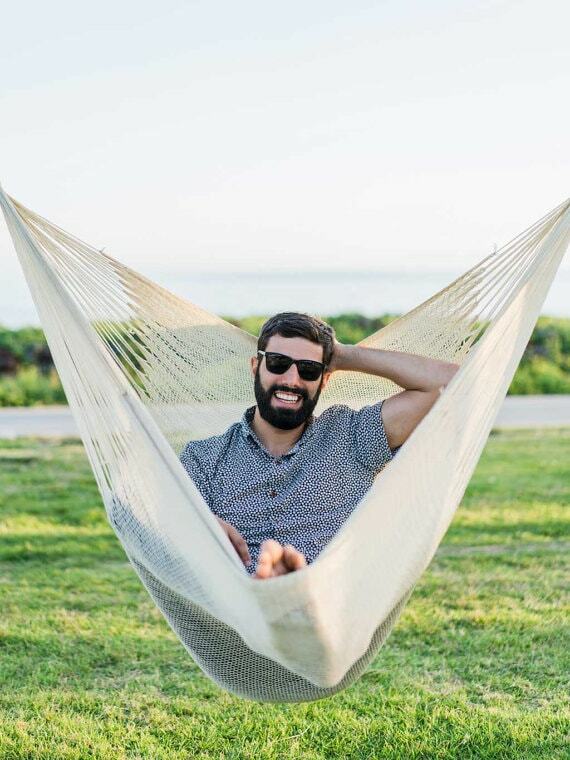 So, one year, she got him a weatherproof hammock he could put in his yard. Her intention was that every time he took a nature nap in the hammock, he’d think of the times they’d snoozed together outside when she was young. A Nature Magazine Subscription: When my friend, Crystal, was a kid, her dad always had a giant stack of outdoorsy magazines. He’d get so excited every month when his new National Geographic would arrive, and he’d read bits and pieces of the articles to her in lieu of a bedtime story. Now, every year, she gets him a new magazine subscription like Montana Outdoors, National Wildlife, or Canoe & Kayak Magazine. When they chat on the phone, he still reads her bits of the articles, just like he used to. Thermal Gear: My friend Gillian’s dad is an ice fishing fiend. He’s so obsessed that one year he got frostbite on his toes because he was out fishing for over twelve hours! 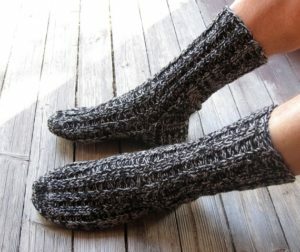 After that, Gillian bought her dad a pair of heavy duty thermal boots and handmade wool socks to keep his feet toasty while he fishes. If you don’t live in a chilly climate or your dad isn’t an ice fisher, consider getting him a nice pair of hiking boots and some fancy merino wool socks. 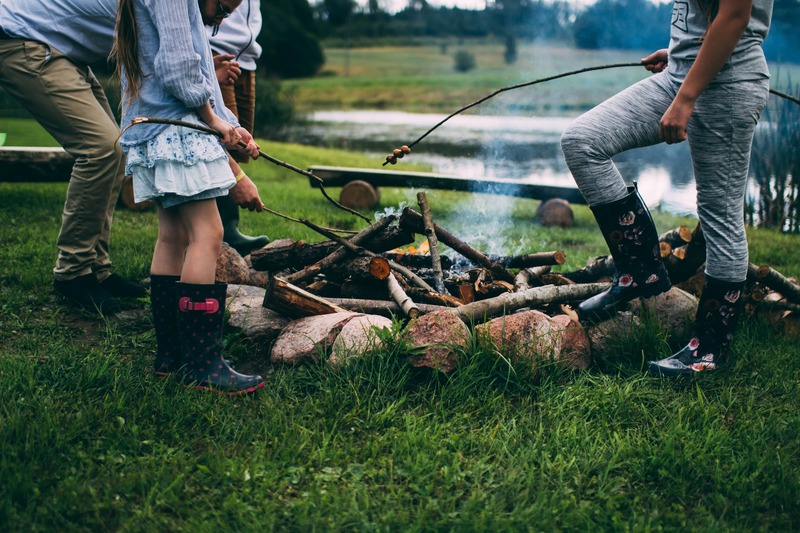 If none of these gifts seem quite right, don’t be afraid to ask your dad about his favorite outdoor activities and listen for hints as to what equipment he uses or what clothes he needs. After a little fishing, you’re bound to snag a few good gift ideas! Or you could have him create an online wish list to make things easier for you. No offense to my dear old dad, but he isn’t the most proficient person in the world when it comes to technology. And since we live across the country from each other, I’m not often able to help when he has computer problems or issues with his satellite television. A Tablet: When Shada told me she bought a tablet for her dad, I thought she was nuts. After all, her dad was worse than mine when it came to technology. But to my surprise, he ended up loving it! Turns out, tablets are great for older generations because they are incredibly intuitive to use. Now he uses his tablet to Skype with Shada every weekend! 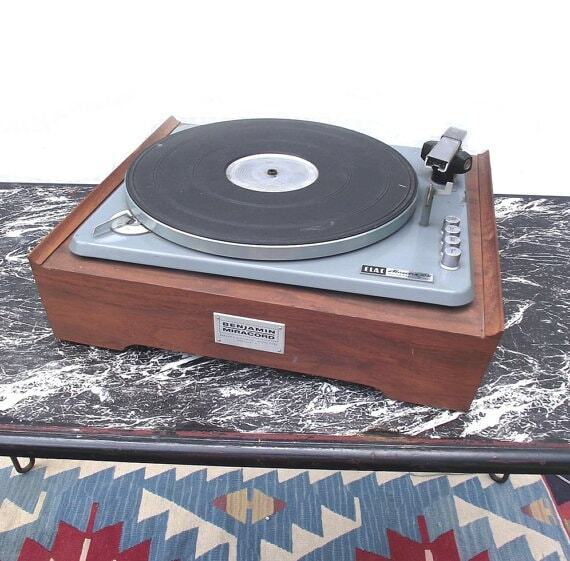 A Turntable: This brilliant idea came from my friend, Jake. His father has a huge record collection but his old record player broke down years ago. Jake bought him a nifty little suitcase turntable with speakers so his dad can rock out to all his old faves—from Gordon Lightfoot to Crosby, Stills, Nash, & Young. A Fitbit: We all worry about our dads as they age, wanting them to be healthy so we can have as much time with them as possible. My friend Bailey gave her dad a Fitbit to help motivate him to lose weight and eat well after his doctor told him he was at risk for heart disease. Since then, her father has lost 20 pounds and enjoys a healthier lifestyle. If you give your old man one of these techie gifts, just be sure to help him set it up and give him a quick run through of how to use it. I make a point of writing instructions down for my dad, so if he experiences any difficulties he can refer to them. Alternatively, check out a gift guide for guys who love gadgets for more great ideas. 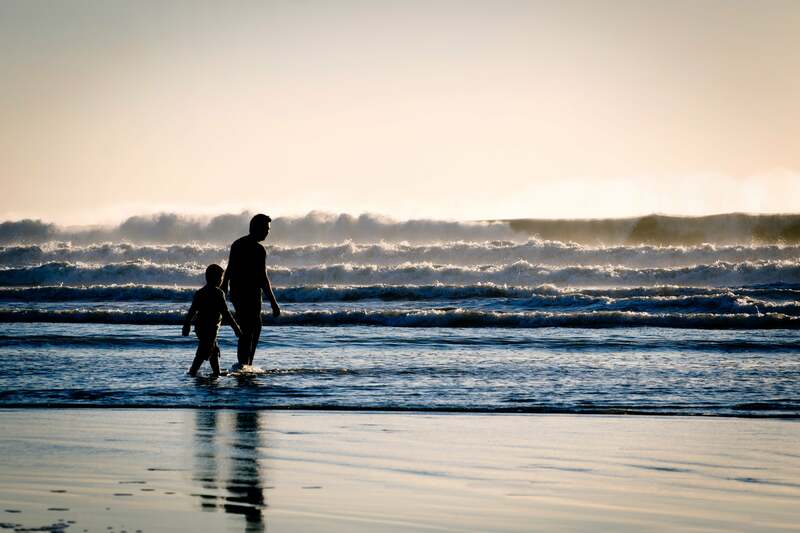 Quality time with dad | Image courtesy Unsplash user Daiga Ellaby. If you’re still stumped, I love giving my dad the gift of an experience that allows us to spend time together. This is also a great idea if you are on a budget, as experience gifts can be cheap as you want. More often than not, the gift of spending time with your dad is the most thoughtful gift you could possibly give him. Even if he says he wants nothing, trust me when I say he always wants the gift of your time. Whether you plan to buy him a gift or give him an experience, make sure to always include quality time together. And if you live miles away from your dad like I do, a phone call or a video chat will go a long way. For him, connecting with you will undoubtedly be the best part of any special occasion. For more creative Elfster gift ideas for dads, check out our For Him Gift Guide or start an online gift exchange to celebrate any occasion with your father. You can also connect with Elfster on Facebook, on Twitter @Elfster, or on Instagram @Elfster.